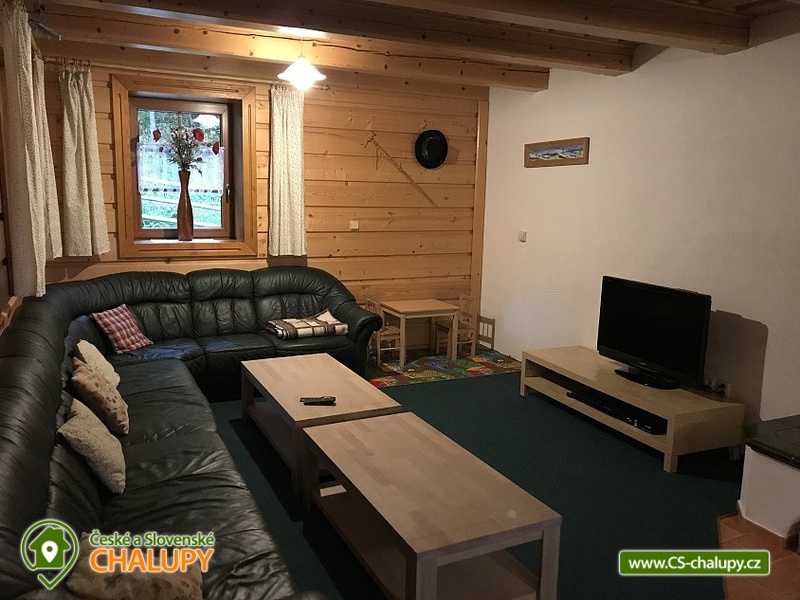 2885/5000 Chata Pod Kohútkou - Vranča - accommodation with a swimming pool Nový Hrozenkov. 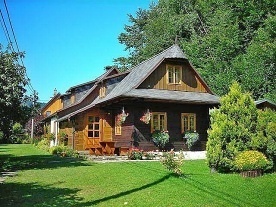 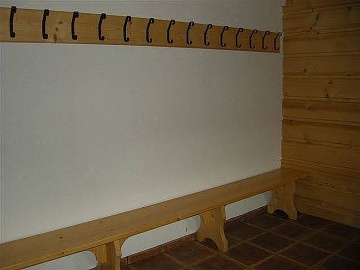 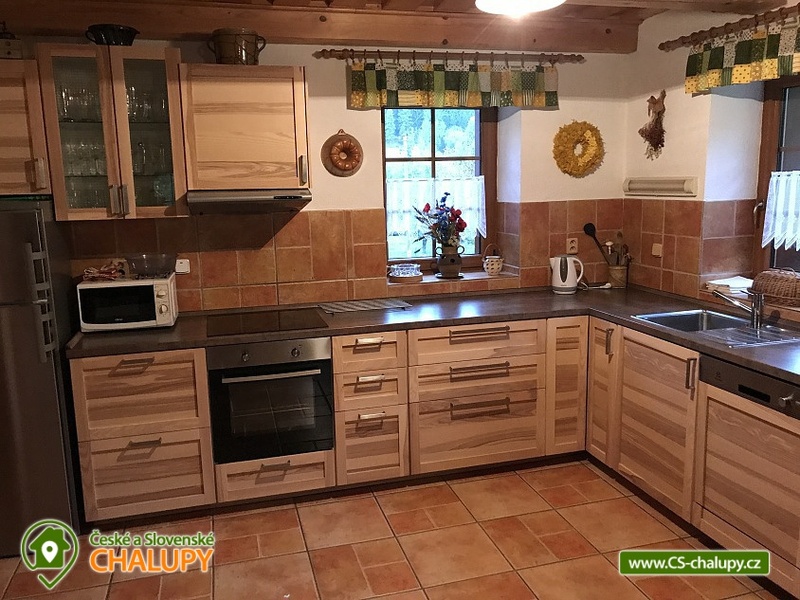 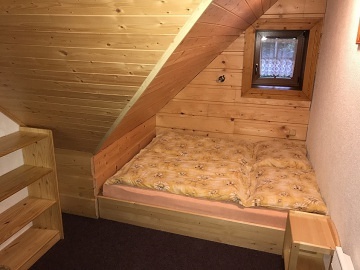 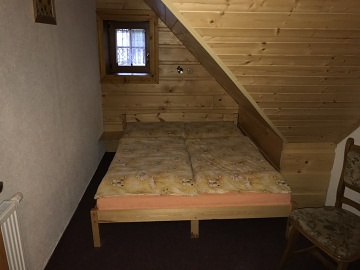 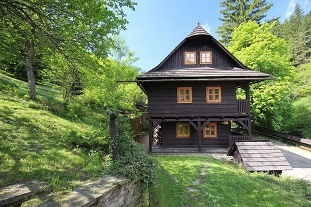 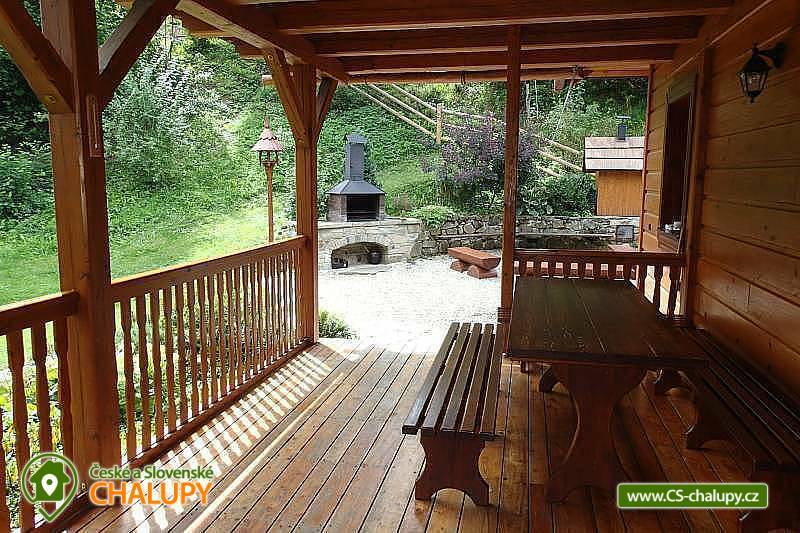 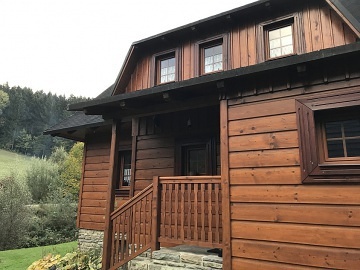 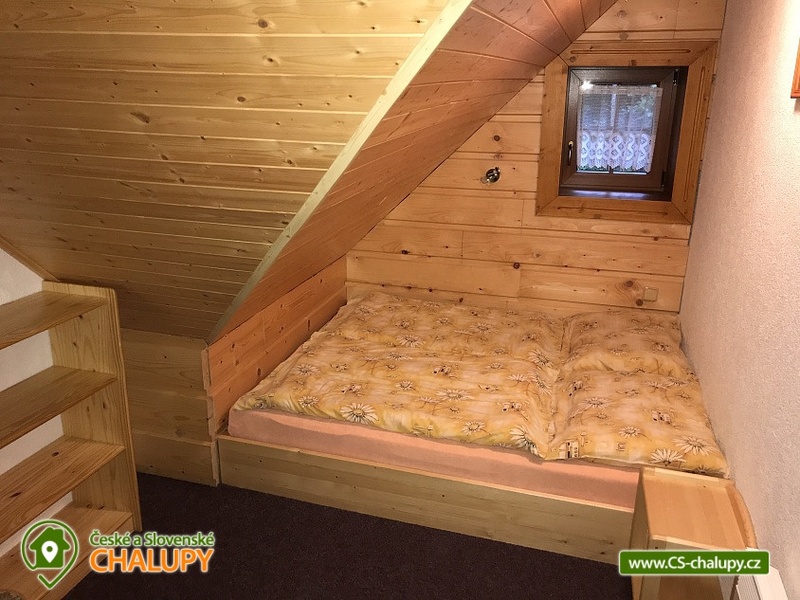 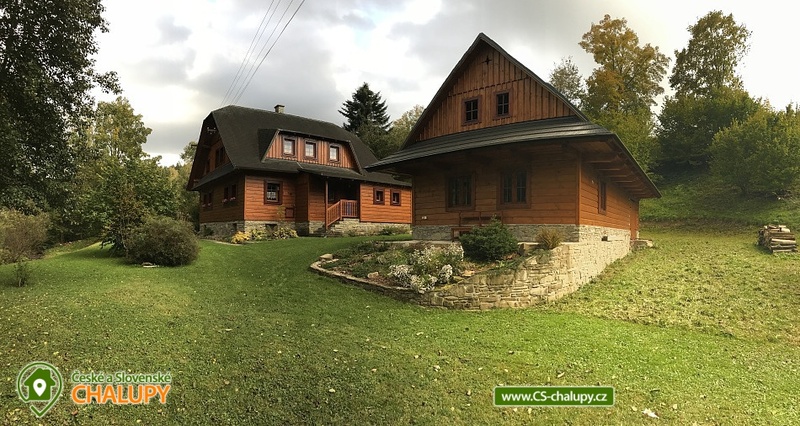 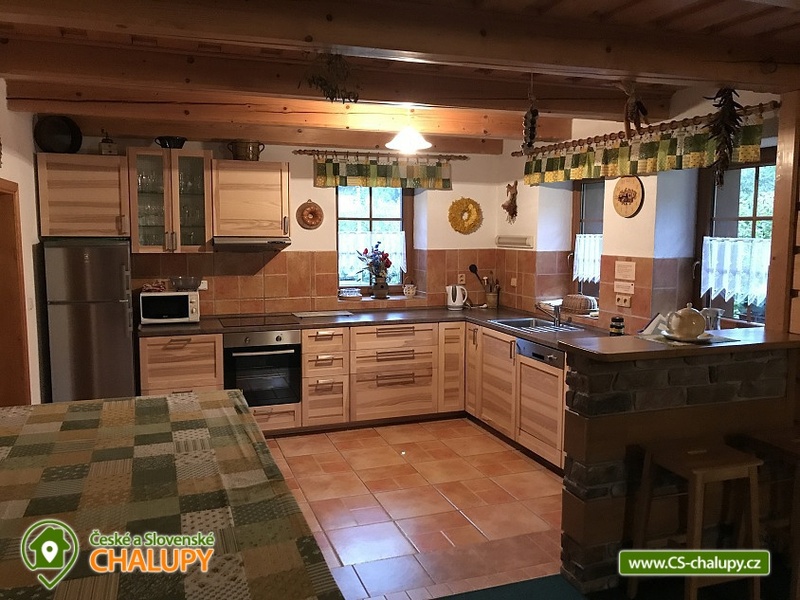 We offer to rent a 6 +1 cottage in Wallachian style. 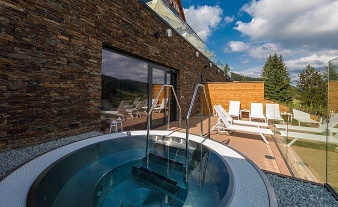 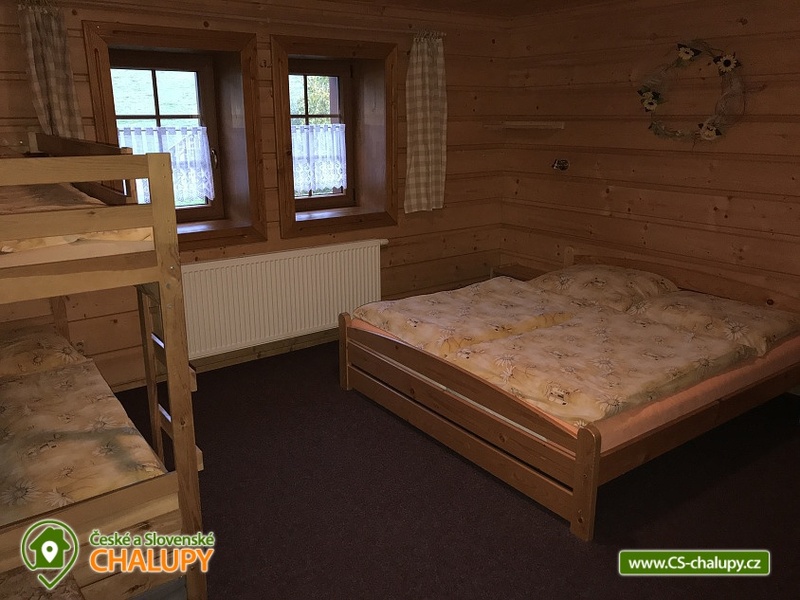 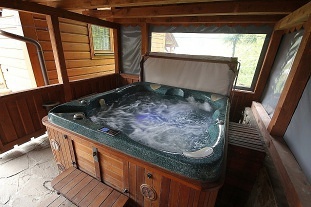 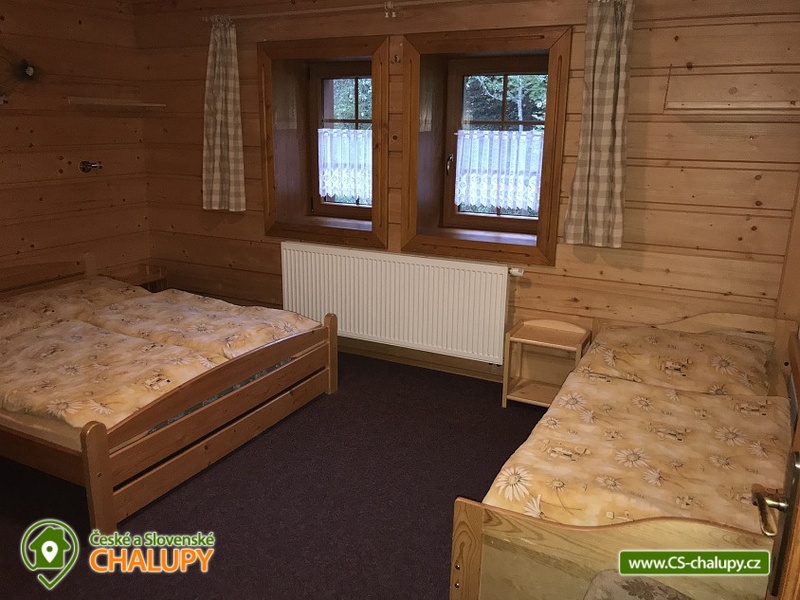 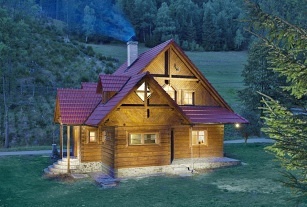 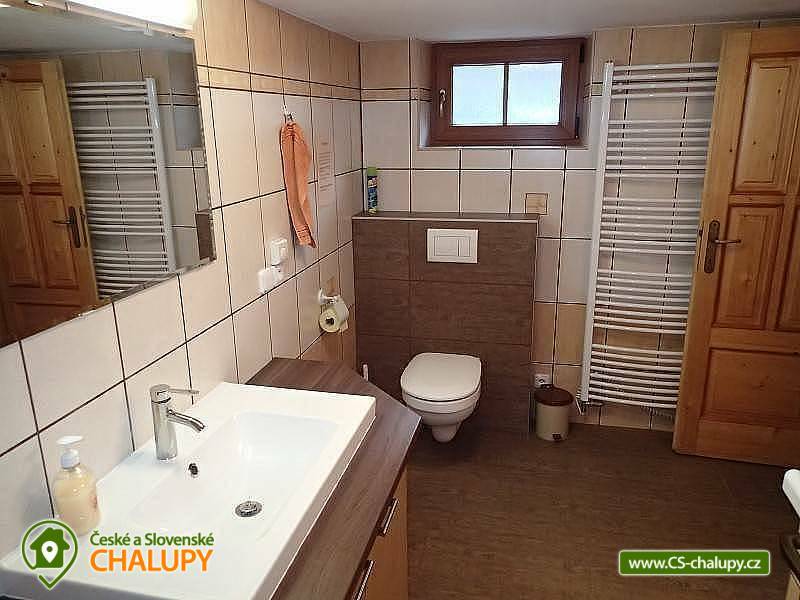 Chalet Kohutkou is located at the end of Novy Hrozenkov in the Vranca valley, close to the Kohutka ski center (3 km). 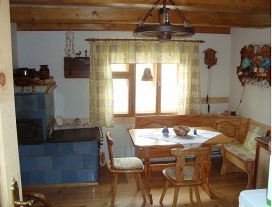 On the ground floor there is a large living room divided into a kitchen, a dining room and a living area. 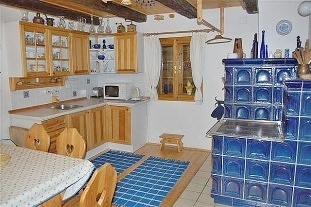 The dominant feature of the room is a tiled stove with a resting oven. 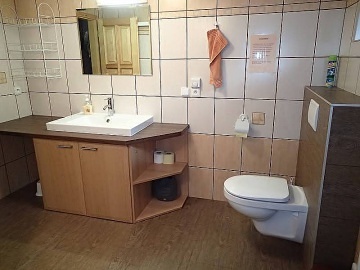 On the ground floor there is a bathroom (shower, toilet). 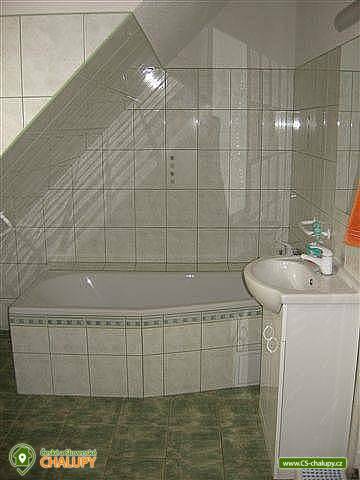 Upstairs there is also a bathroom with a bathtub and 2 toilets. Upstairs there is access to 5 rooms from the corridor, which are furnished with wooden furniture, wardrobes, bedside tables and lamps. 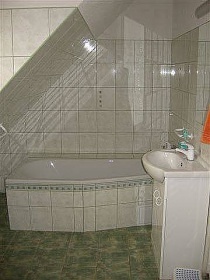 Bedroom: 2 Bedrooms 2 Bedrooms, 2 Bedrooms 4-Bed and 1 Bedroom 3 Beds + Extra Bed + Baby Bed. 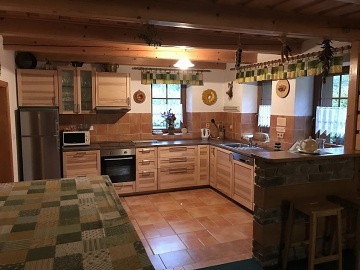 The cottage is heated by an electric central heating system (ground floor, floor heating), combined with a wood-fired tiled stove with a hot-water heat exchanger (radiators). 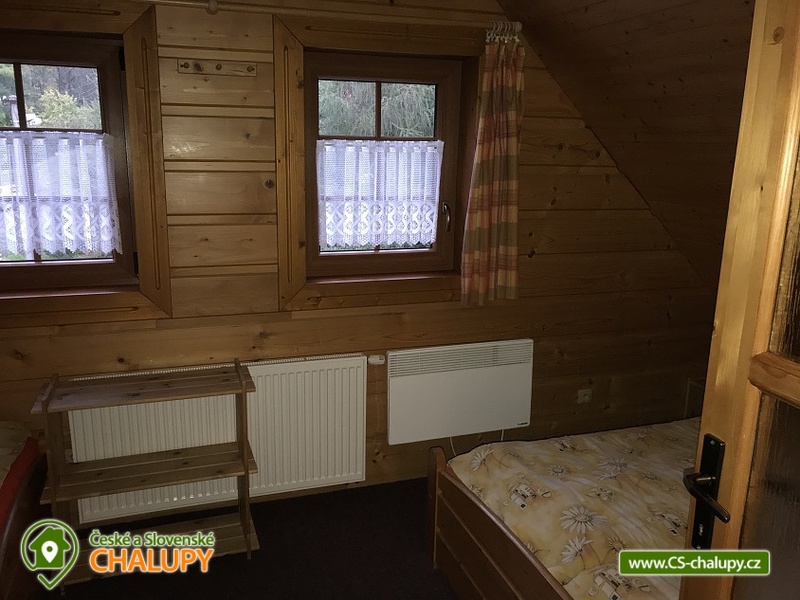 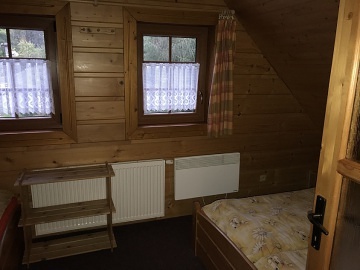 Wood for heating is included in the rental price. Parking is at the cottage - max. 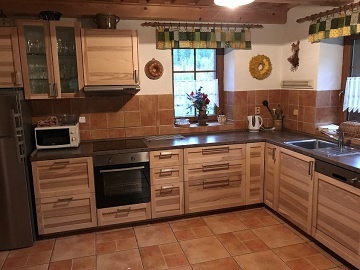 5 cars. 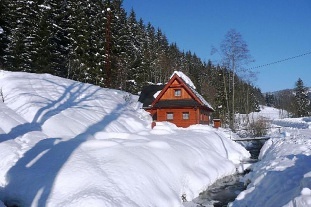 Arrival is possible in the winter without snow chains. 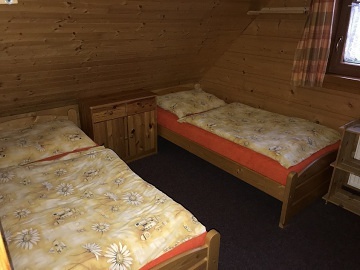 For a trip to the Kohútka ski center, there are chains required (800m from the cottage runs to the ski center ski bus). 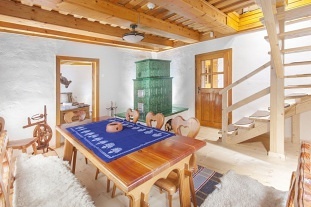 From the dining room there is an entrance to the roofed terrace where there is outdoor furniture. 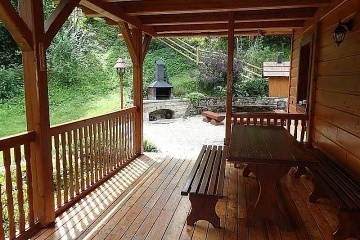 The cottage has an outdoor fireplace with a seating area, a smokehouse and a large grill. 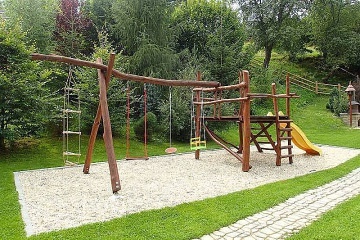 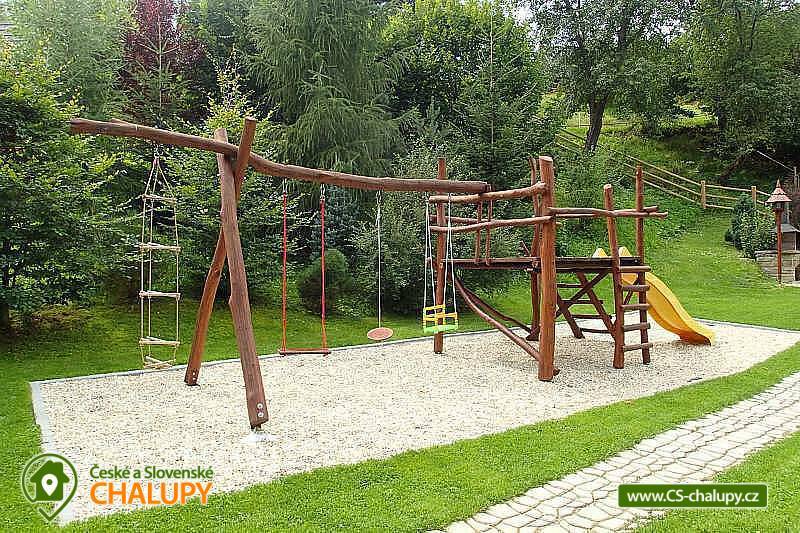 There is a swing, a sandpit, a large trampoline and a 3.5 m diameter swimming pool. 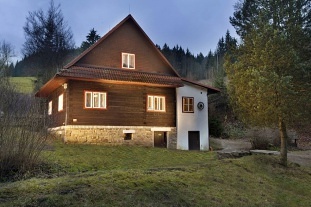 Beskydy and Javorniky are characterized by beautiful nature and perfect balance of local forests, meadows and pastures. 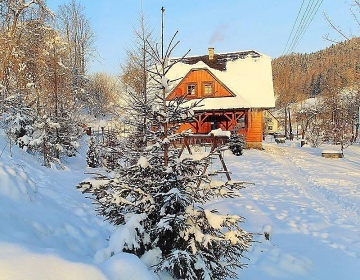 Surrounding nature offers plenty of opportunities for a yearlong vacation. 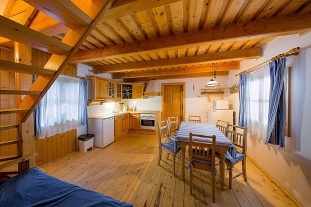 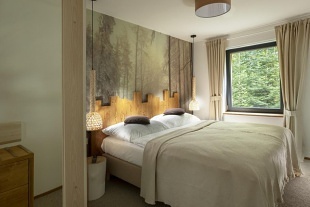 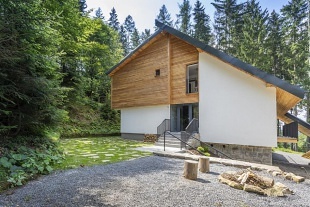 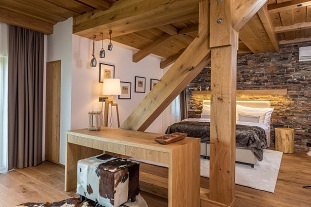 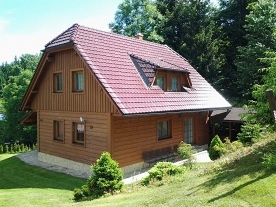 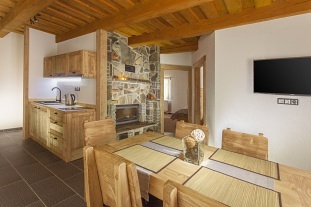 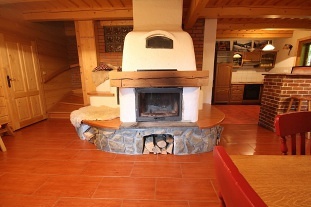 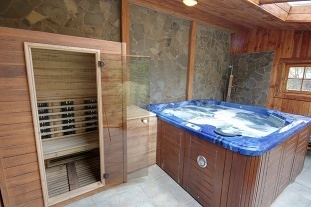 Wooden cottage is suitable for family vacations, both relaxing and active. 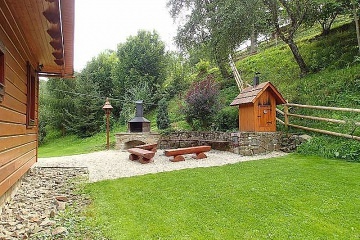 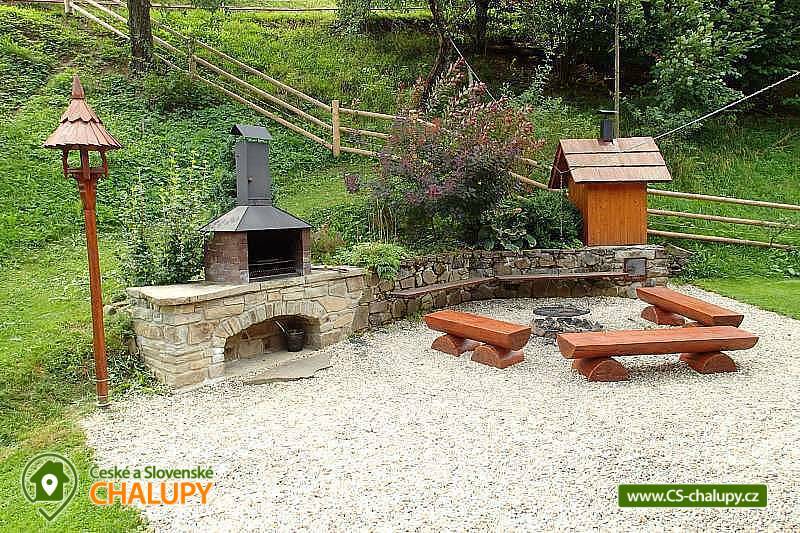 It is located in a quiet part of the village by the stream, with a nice view of the surrounding forests and meadows. 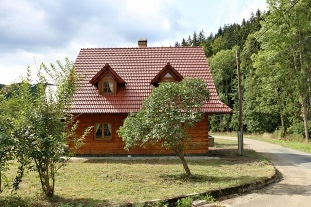 The Nový Hrozenkov Mountains are located in the protected Beskydy Mountains, about 18 km east of Vsetín, which is undergoing a newly built 50 km long cycle path. 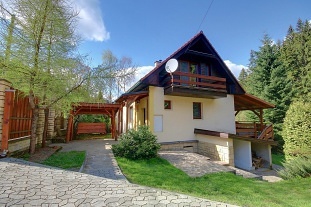 This cycle path leads through the beautiful nature along the Becva River from Vsetín to Velké Karlovice. 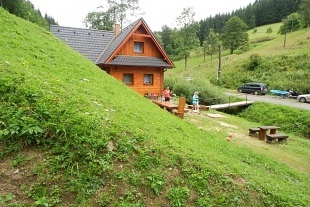 The place is ideal for all the lovers of hiking, mountain bikers, in winter there are good conditions for skiers. 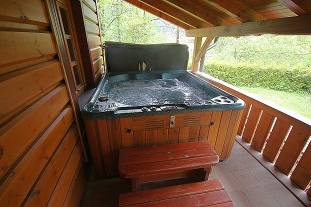 Swimming in the place (2 km), in Kohútka (3 km) or in the natural reservoir in Karolinka (5 km). 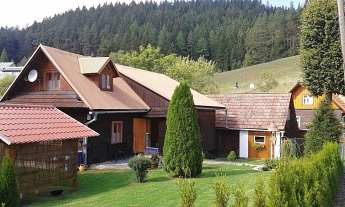 Tennis courts in Karolínka (7 km). 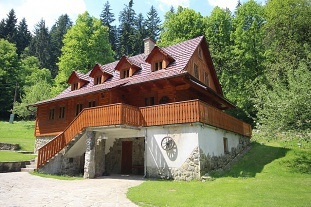 Horse riding in Huslenky (7 km). 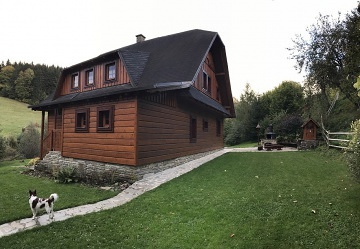 Indoor pool and gym in Velké Karlovice (15 km). 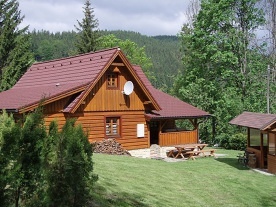 Fishing in Nový Hrozenkov (5 km). 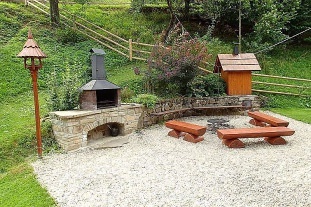 Restaurants and shopping (2 km) on site. 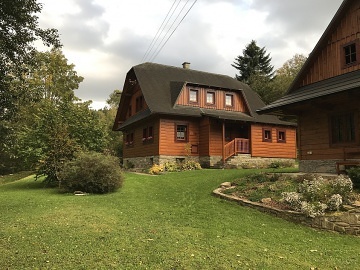 Tourist destinations: mountain hikes in Kohútk, Portáš, Malý and Velký Javorník, Makati, Tanečnice, Soláň; Velké Karlovice (wooden church, Karlovy Vary Museum), mountain resort Pustevny with Art Nouveau houses Libušín and Maměnka by architect Dušan Jurkovič, memorable mountain Radhošť with statue of pagan god Radegast, sculpture of Cyril and Methodius and chapel from 1898, Rožnov pod Radhoštěm (Wallachian Museum Frenštát pod Radhoštěm (ski jumps), Vizovice (chateau, chateau chocolate factory, production of Jelinek spirits), Lešná (castle, Zoo) or Zlín (shoe museum).